Two weeks ago, Wisconsin senior tri-captain Blake Geoffrion suffered a vicious blow to the head that resulted in a concussion during the Badgers’ 7-4 victory over St. Cloud State. That hit, delivered by Huskies center Aaron Marvin, resulted in a three-game suspension for Marvin handed down by the WCHA. That will keep him out of the Huskies’ final series this weekend and SCSU’s first playoff game next week. For Geoffrion, the concussion meant the Brentwood, Tenn., native did not make the trip to Houghton, Mich., last week for the Badgers’ series against Michigan Tech. The decision to keep Geoffrion out an entire week following the hit likely was not popular with UW fans. But it was the right one. Too often in the past have athletes at every level returned too early from head injuries. Doing so puts such athletes at a greater risk of further injury from any additional contact. And while one concussion is bad enough, any additional concussions can lead to serious permanent damage. Just ask any professional athlete who has retired from head injuries. 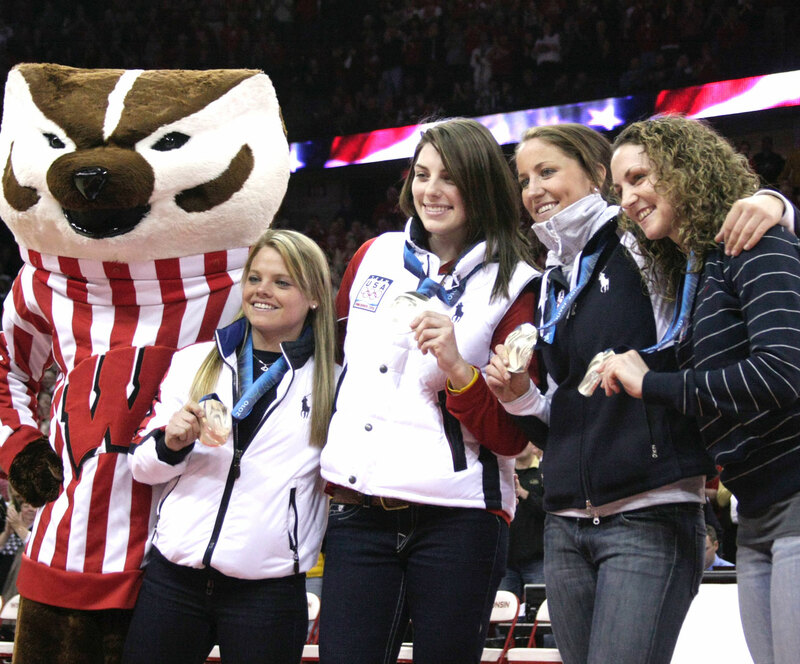 Keeping Geoffrion out was a sign of smart decision-making by the UW men’s hockey team. Wisconsin’s senior forward is far more important to their team in March than he would have been last week against Michigan Tech. So, by giving him a full week to recover from “getting his bell rung,” the UW coaching staff made a great decision for their future. While Geoffrion likely would have wanted to return as soon as possible, taking it slow was the best choice. The last thing the Badgers need is to lose their top Hobey Baker Award winner for the entire season because he returned too soon. Besides, why not keep him out a little longer to give a spark to the Badgers’ season finale series against the Gophers in Minnesota? 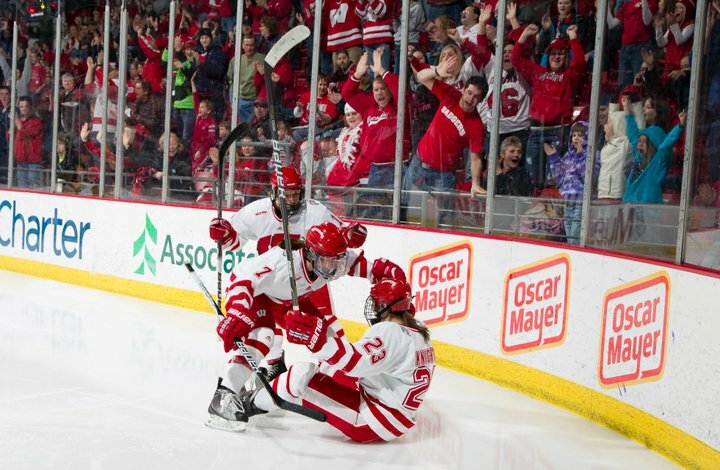 As senior forward Blake Geoffrion laid on the ice, Wisconsin held a slim 2-1 lead over St. Cloud State in the second period of their Feb. 20 matchup at the Kohl Center. Seconds earlier, Geoffrion had suffered a vicious blow to the head delivered by Huskies center Aaron Marvin. One of three captains for the UW men’s hockey team, Geoffrion was helped off the ice and to the locker room following the hit and would not return. It was later determined the Brentwood, Tenn., native had sustained a concussion as a result of the hit. In the week following his concussion, Geoffrion did not practice. He also stayed on campus while the rest of the team traveled to Houghton, Mich., for the Michigan Tech series. In light of Geoffrion’s concussion, I talked with assistant athletic trainer Andy Hrodey to discuss the concussion policies within the UW Athletic Department. Jordan Schelling: What kind of procedures does the UW men’s hockey team follow in terms of concussion prevention and treatment? Andy Hrodey: There’s a computer program called ImPACT that we use to test brain function. It’s a variety of things from reaction time to memory to recognition of different words and symbols and stuff. It basically just gets a baseline of what their brain functions like; so, if they ever do have a concussion, we’re able to use that as another way to tell where they’re at in that recovery process after a concussion occurs. JS: Can using such a program do anything to help prevent another concussion from occurring in the near future after a player sustains a concussion? AH: It’s not really about preventing. It’s really just another tool we have to measure whether or not somebody’s recovered from a concussion or not. … It just really helps us tell when they’re getting back to normal so we can let them get back to exercise and activity. JS: So what it could do then it to keep them from going back too soon? JS: How long has the Athletic Department been using the ImPACT baseline testing system? AH: It’s been probably nine or 10 years now. It’s evolved a little bit, but it’s been quite a few years now. JS: Before this system, what did you do for treating and diagnosing concussions? AH: We’ve always worked closely with our physicians from just kind of a symptom standpoint of what the athlete’s feeling. We also use pen and paper tests… just basic little things that would test your brain. … But this computer system is nice because we get a baseline right when they come in (as freshmen), and it’s easy to administer. We could even do it on the road because it’s on the Internet. JS: Before using the computerized test, did you ever do anything before the season began? AH: No, no not really, no. Other than taking their history and stuff, really, no. It wasn’t like a baseline and then having this retest thing prior to the computer. That’s new with that. JS: Does every player take the baseline test prior to every season? AH: No, no, just as a freshman they take that. JS: And that one test is adequate for the entire four or five year careers of the players? AH: Yeah, it’s such a basic thing that we don’t feel like there’s any way that they change over the years. For some reason if we thought they did or we thought something was wrong with that first one, then we could have them redo it when they’re feeling normal basically. But really, we feel like that one time as a freshman as they’re coming in is a pretty good idea of what their normal is, which is different for everybody. JS: So, without seeing the actual test, could you describe the difference between a normal test and someone who just suffered a concussion? AH: What it is, it’s a series of tests involving words and numbers that focus on memory and reaction time… After a concussion, your brain doesn’t work as well sometimes — it’s slowed down, so to speak — so in the first one, you may have trouble remembering those words. In the second one, your reaction time may be slowed down. JS: So the tests are fairly similar to what you did in the past, but now it’s all computerized? AH: Yeah, exactly. The biggest difference is that we have that baseline. So, we know what their kind of “normal” is on a random day when they’re feeling fine as opposed to after a concussion when they’re a little slowed down. JS: After a possible concussion, what is that procedure like? AH: After something that happens either in a game or practice, I evaluate and then our team physician evaluates them, especially if it’s something they had to come out of practice or the game for. … Then we monitor them closely, and in a rare instance, they go to get more tests at a hospital. But usually we just monitor their symptoms and as long as they keep getting better — the headache, the dizziness, all that stuff starts to go away rather than get worse — it’s just kind of a daily checkup to see where they’re at symptom-wise. As those decrease, we’re able to let them do a little bit more. Basically, once they have no symptoms, then we can let them exercise a little bit, whether it’s a bike or a workout or something like that. Then when that is OK, we’re able to let them get back to a non-contact situation on the ice before going back to a full practice. JS: Have you considered anything additional in terms of concussion prevention, such as specialized mouth guards that are said to prevent concussions? AH: All the guys are fitted for mouth guards, but it’s kind of their decision if they wear them. It’s still kind of controversial whether those prevent an actual concussion from happening. There’s different tests that say they do and there are others that claim to have proven that they do not. Personally, I advocate them because it protects their teeth. JS: When it comes down to it, is there really anything aside from simply avoiding contact that can truly prevent a concussion? AH: Yeah, really that’s about it. They’re making newer helmets, I know. We don’t have any of them at this point, they’re still kind of in testing and things like that. So, that helps — having any kind of helmet is going to help a little bit — but in this kind of atmosphere it’s a situational thing. If there’s contact and there’s that quick deceleration where the brain sloshes around, there’s really no way to prevent it. Silver’s good as gold against Canada, eh? It was hockey night in Canada, not U.S.